Supplementary material reads: "Gershon. City desk. Army WAC. Col. D.L. 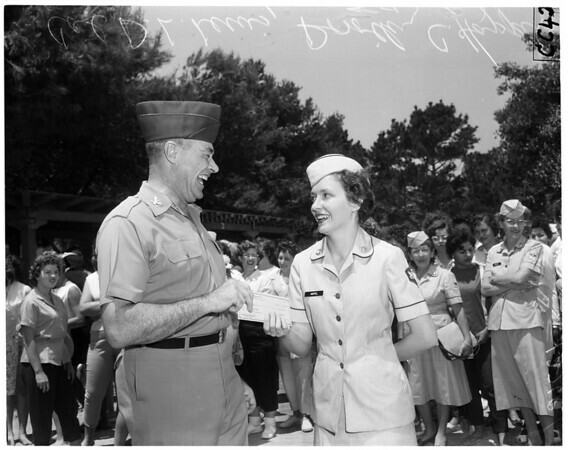 Lewis, CO at Ft. MacArthur hands check for $25,000 to Specialist Fourth Class Dorothy C. Happel for being the WAC of the Year at Fort McArthur".